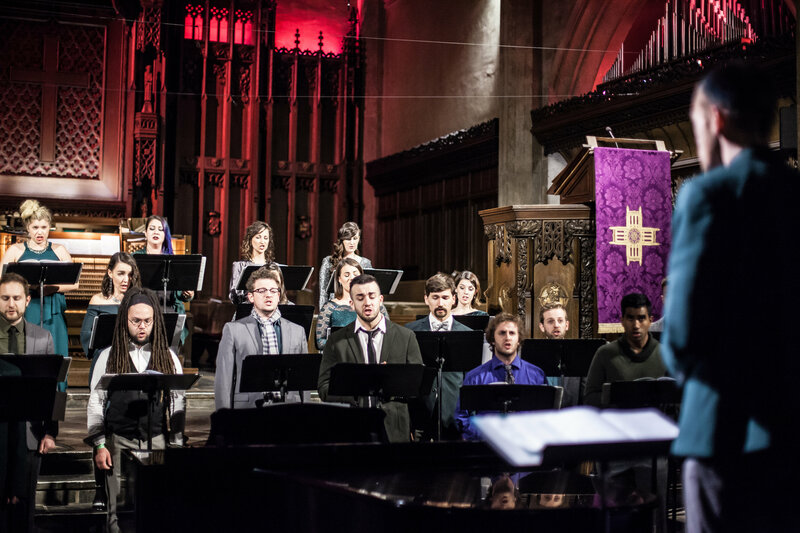 LOVE IS BORN is a choral concert produced and presented by the L.A. Choral Lab. This concert will take you on a choral journey back in time, to the Star in the East, to Bethlehem, and to the nativity of Christ, as the story is written, told, and celebrated. This concert explores the theme of Christmas by asking what it means to Awaken the Christ-Child (William Malpede, 2017). Selections such as Huron Carol (arr. Sarah Quartel, 2013) and Star in the East (Southern Harmony, traditional shape-note) will open the concert and fill the resonant spaces of First Congregational Church of Los Angeles with harmony and melody. Also on the program is A Romanian Cradle Song (arr. Katie Melua & Bob Chilcott, 2017), a twirling A La Nanita Nana (arr. Belford Hernandez, 2009), and a new setting of What Child Is This by local composer Amy Gordon (2016) form the heart of this choral nativity. Two Renaissance motets — O Magnum Mysterium (Tomas Luis de Victoria, 1572) and Nino Dios (Francisco Guerrero, 1589) — bookend the concert. It is the L.A. Choral Lab’s wish that by the end of this concert, it will feel like Christmastime is Here.